Find a large selection of new Cadillac SUVs for sale in Odessa, TX. 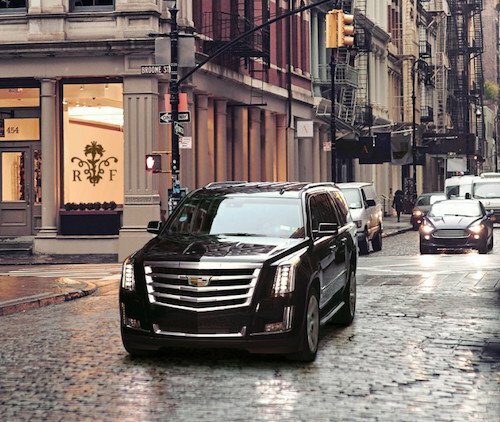 Our inventory of Cadillac SUVs includes Cadillac Escalade, XT4 and XT5 models. A variety of luxury SUVs are in stock now. If you are shopping for a reliable family vehicle see our pre-owned SUV inventory which includes used Cadillac SUVs as well as used SUVs from many other manufacturers. Our used vehicle special offers and Vehicles Under $15,000 offer a selection of pre-owned SUVs which are priced with dealer discounts. We offer several affordable financing options for buying or leasing a new Cadillac SUV in Odessa, TX. Our Cadillac financing team can help you take advantage of factory incentives or dealer specials so you are sure to get the best price on a SUV near you. If you have any questions please contact our Cadillac dealership in Odessa or stop by, meet the team and take a test dive soon.